Finesse Dental dentist in Sydney is proud to introduce a new and leading edge cosmetic dentistry procedure that is taking the Australia by storm – The Inman Aligner. This innovative concept sees protruding or crowded teeth transformed in a matter of weeks! The revolutionary Inman Aligner now offers patients a fast orthodontic solution at an affordable cost. The Inman Aligner works best for mildly and moderately crowded front teeth, so maybe not suitable for everyone. However, in these situations we can offer other orthodontic treatments or it may be possible to combine the treatment with veneers (straightening the teeth first so that less tooth needs to be invasively prepared for the veneer). This can be discussed fully at your free consultation. Only certified Inman Aligner dentists can provide them. Dr. Robby Sehmi is one of the very few dentists in Australia to be fully accredited for Inman Aligner procedure. Dr. Sehmi, describes the treatment perfectly when he calls it a ‘mild fine-tuning’ in cosmetic dentistry. The great thing about the Inman Aligner is it’s opened up the field to a greater number of people, who previously would rather not have anything done at all! In many ways cosmetic dentistry has been failing these patients for many years. But now we have an option for every single case. For those who have got really nice teeth, but have crowding in their mouth, this is available. Is an alternative to expensive “Invisible Braces”. Allows you to achieve great results using just one appliance. Can give you a wonderful smile with less hassle and expense in a shorter period of time. 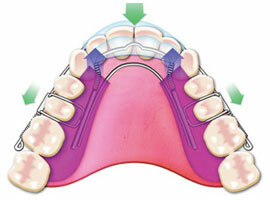 Can be removed and inserted as easily as a retainer. The Inman Aligner is a clear plastic retainer with two spring loaded aligning bars that fit easily over the front four teeth. Unlike a regular brace, the Inman Aligner provides a constant gentle pressure on the teeth, easing them back into place far more quickly.Apart from its aesthetic benefits, the Inman Aligner is easy to use and can be inserted and removed at any time, allowing eating, brushing(and kissing) to continue as normal. Once teeth have moved to the desired position, a very discreet retainer holds them in place, so they remain in their new position.During the first consultation, an impression is made of the teeth and in the second, teeth are smoothed to make room for movement and the aligner fitted. 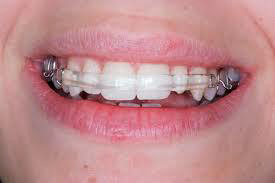 For the duration of the treatment bi-weekly visits are required to review and adjust the aligner. Like any orthodontic appliance, the Aligner can feel a little uncomfortable for the first few days. After a week most patients are used to their Aligner and have no problems wearing it and it will quickly feel like it belongs in your mouth. 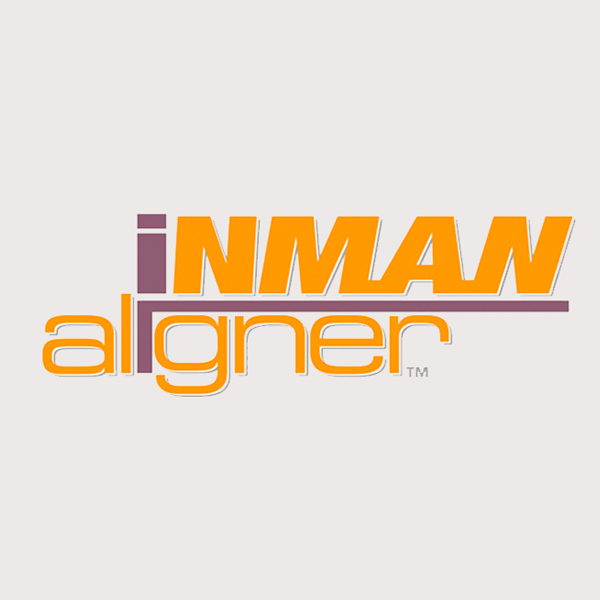 Inman Aligner treatment typically takes 4-16 weeks. Simple cases can complete in a little over 1 month and more complex cases might take 4 months or so. At your free dental consultation we will give you a realistic guide of what to expect. Normally lower front teeth move a little faster than uppers. The cost of Inman Aligner treatment is typically much less expensive than traditional braces or invisible braces with which treatment times are also typically longer. Following your free consultation you will be given an exact indication of costs and treatment time. It is usually priced from $2500 per arch.